I was just about to the exit my favorite everything-for-the-home store. This wasn’t a shopping expedition but—happily—a visit to the returns desk to request a refund for what turned out to be an unneeded purchase. That morning my iron had stopped working and no amount of jiggling the cord, turning the dial, or (gentle!) shaking could revive it. So I went to this self-described “store with a varied selection of home goods, bedding, kitchenware, towels & decor items” and somewhat grudgingly bought a new iron. (Grudgingly because aren’t appliances like irons supposed to last forever??) Before unpacking the new purchase at home, I plugged in the old iron for one last hopeful try. And it worked! I do not wish to denigrate modern advances which make life a little easier. After fifteen years in Germany when all my recipes containing flour had to be revamped to accommodate differing wheat types, I was more than happy to indulge in a box of Duncan Hines© cake or brownie mix. But a snowman kit?? My superiority scorn was off the chart. Yesterday’s question and one ringing today in my ears is, “What—or how much—is enough?” How many of my purchases fall under “in case I need it” rather than “I need it”? And why am I tempted to store up extra towels, sheets, pens and….? What do I fear about the future? Or what do I doubt about God’s sufficient supply? Especially when just a few verses later in Luke 12, Jesus says, “Do not be afraid, little flock, for your Father has been pleased to give you the Kingdom.” The kingdom! My mother and her siblings grew up in a desperately poor family and then worked hard to earn a living during the Great Depression. We jokingly said my mother could stretch a dollar until you could read through it! Her delicious soup made from meat and vegetable “scraps” generously extended to however many people dropped in for a meal. 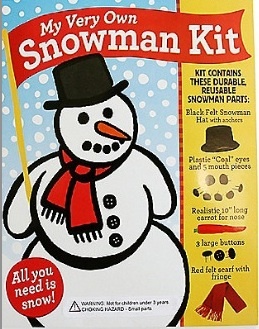 I’ll not be tempted to buy my very own snowman kit, but I wonder how skewed is my view of what is actually enough? During this season of Lent, stopping to carefully consider “how much is enough?” may just impact every area of my life. I’ve been thinking about families a lot lately. Occasionally looking for the perfect one. Or looking for ingredients that need to be in the mix to produce one. My quest has been fruitless. Every time I think I’m on the right track, someone describes failures, heartache, disappointment in that family—often the report coming from an individual within the family. Threats to the family proliferate: a culture of self-centeredness, consumerism, secularism, unhealthy media offerings and much more. After even superficial study of families living centuries ago, I discover pressure—with different names and faces—has been common through the ages. Perhaps in reaction to more modern threats, many Christian families are involved in what I call “circling the wagons,” a term of the American old west where traveling pioneers would circle their wagons for protection from enemies; they did this for protection, for defense, getting ready for an attack. I observe that many families—with the best of intentions—seek to protect their children from the onslaught of all they consider unholy, or unhealthy at the very least. Some parents discourage their children from having close friends outside the parameters of their own belief system. Unless a movie or television program is explicitly Christian or at least has a Christian theme, it is not allowed. While insistence that “Christmas Eve is only for us,” or “Don’t invite ‘those others’ to the party” is perhaps intended to teach the importance of the nuclear family, it also emphasizes the us-and-them gap. Amy Carmichael left the comfort and safety of her Christian home in Northern Ireland and even with a lifelong debilitating disease “that made her whole body weak and achy, often putting her in bed for weeks on end,” she served in India for 56 years without furlough back to family and friends in Ireland. The organization she founded in India would become a place of sanctuary for more than one thousand children who would otherwise have faced a bleak future. Amy Carmichael died in India and asked that no stone be put over her grave; instead, the children she had cared for put a bird bath over it with the single inscription “Amma”, which means mother in the Tamil language. She left her mother to become mother to many. If we do not live in an area—usually urban—where our children are naturally exposed to diversity of race, beliefs and lifestyles, parents can use creativity and energy to find people and events where God’s greater world can be seen. Perhaps it’s a Chinese New Year celebration, or Kwanza festivals in December, or museum displays of African art. Or, as one family I know has chosen, placing their young children in a pre-school where playing on the swings with refugee children from Nepal removes the “they’re different” attitude from an early age. While mission trips are commendable, they provide only an in-and-out experience whereas daily exposure seeps into the souls of our children. 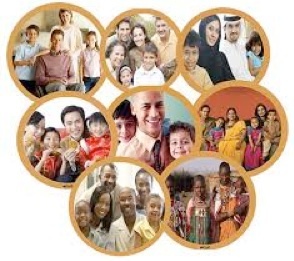 It’s time for us to focus on families around the world, loving and preparing our own children through early “natural” exposure so they can one day take their places in corners of the world where they can carry on Kingdom work not only with our blessing, but with our vocal encouragement. This will probably mean that cuddling our grandbabies will be only a sporadic experience as they live in the Middle East, inner city Philadelphia, China, Manila slums or Zambia, but isn’t that what we meant in our heart of hearts when we dedicated our own babies to God? Perhaps we need more Hannahs to prepare more Samuels. Several years ago as my daughter and I walked in a New York City park, a man stumbled unsteadily toward us. He hesitated as he neared, murmuring something under his alcohol perfumed breath. When he passed we became aware that he spoke more loudly. We turned just in time to overhear, “Oh no, there are two of them!” That we resemble each other wasn’t an unusual observation; people often comment on our likeness. But this particular time, the man in his less-than-coherent state thought he might be experiencing unnerving double vision. Lately I’ve been reading Michael Green’s Thirty Years That Changed the World. What I find intriguing is how Green uses extra biblical sources to illuminate the life and times of the first century Christians. Records are rich with descriptions of these history making, history changing people. Green goes into detail about their characteristics. In contrast to their culture, Green says they—so new to revolutionary belief in Jesus—were outrageously generous, powerful, courageous, faith filled, enthusiastic and so much more. They do not practice great speeches, but they exhibit good works. When struck, they do not strike back. When robbed, they do not go to law. 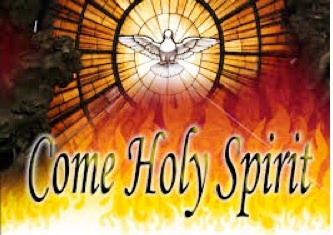 They give to those that ask of them…with them temperance dwells, self-restraint is practiced, monogamy observed, chastity guarded, righteousness exercised, worship performed, God acknowledged. Truth governs them, grace guards them, peace screens them, and the holy word guides. 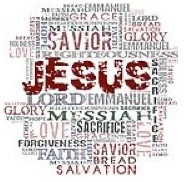 Quite simply they looked, acted, lived like Jesus. They weren’t clones but the family resemblance was unmistakable. Will I remind anyone of Jesus today? It had been a rich Sabbath morning. The first hour—before we settled into looking at God’s words to us in the Bible—was spent in mourning the loss only days before of one of our number. We knew the end neared for our friend and so news of her death came as no surprise and yet as a shock. (Death always shocks because it is a reminder that we were created and redeemed for life.) With tears we remembered our friend’s joy, endurance, grace and strength. We were reminded of the ancient words of comfort: Into your hands, O merciful Savior, we commend your servant… Receive her into the arms of your mercy, into the blessed rest of everlasting peace, and into the glorious company of the saints in light. Many of us moved on from the small classroom so recently anointed with God’s presence and our tears to the church sanctuary where preparations had been made for worship in song, prayer, preaching and celebration of The Lord’s Supper. The Table was laid with white cloth, baskets of bread, goblets of the vine’s nectar. Really? Melt me, God? Mold me? Flood this place? Overcome me? What might happen if you actually answered this prayer song? To be ruthlessly honest, I’m only expecting the ordinary to happen this morning. I’ll be inspired by Nate’s preaching, encouraged by fellowship, moved by friends and strangers coming forward to dip bread into wine. But to expect the extraordinary scares me just a little. If you flooded this place—flooded me—what happened to that first circle of believers in Jerusalem might just happen to me. I might be considered odd (drunk!) with the power of your Spirit. I might lose the right to my own possessions as I willingly share everything with others. So many people might respond to the good news that my comfortable circle of Christian friends will be invaded by the unwashed, unholy, uninitiated. I prefer pictures of your Spirit as a dove rather than as fire. It’s just a little safer, a little less disrupting to expect only the ordinary.